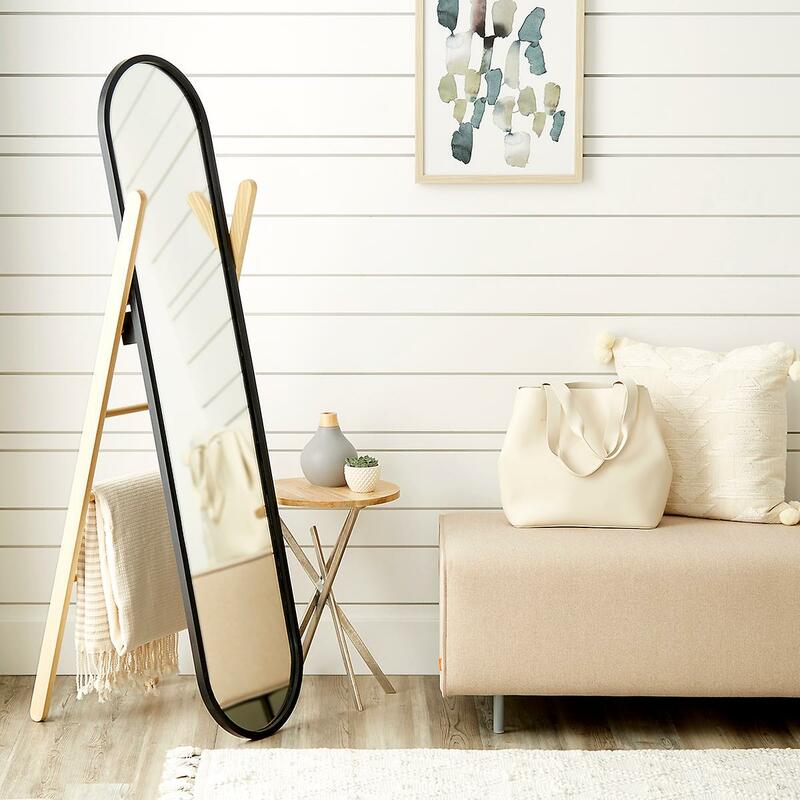 Umbra Hub is a contemporary floor mirror with dual function, it combines an elegant full-size mirror with a practical ladder style hanger. 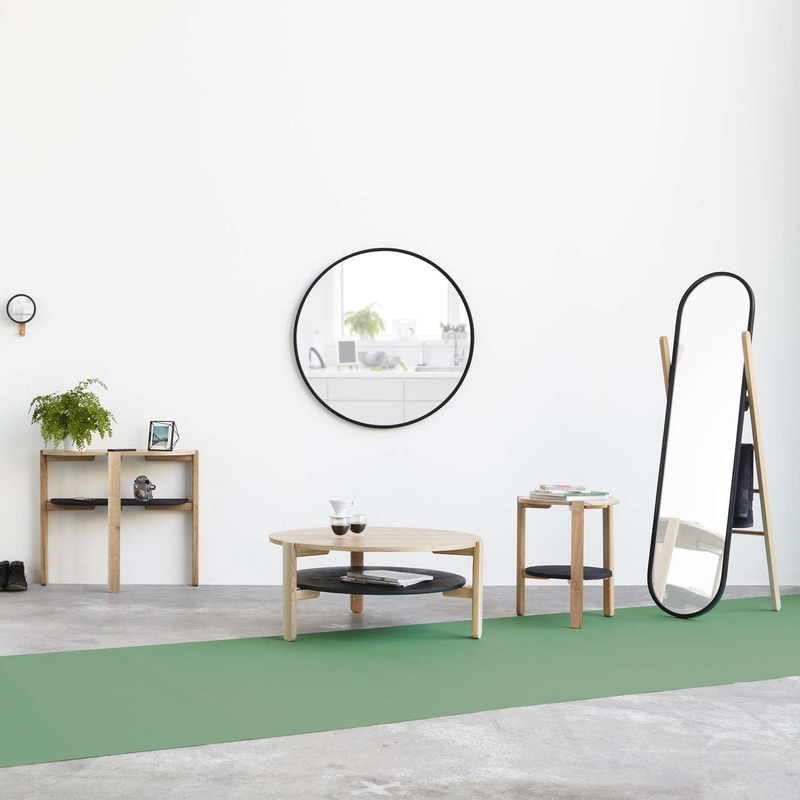 Hub is a great floor mirror that combines aesthetics with functionality. 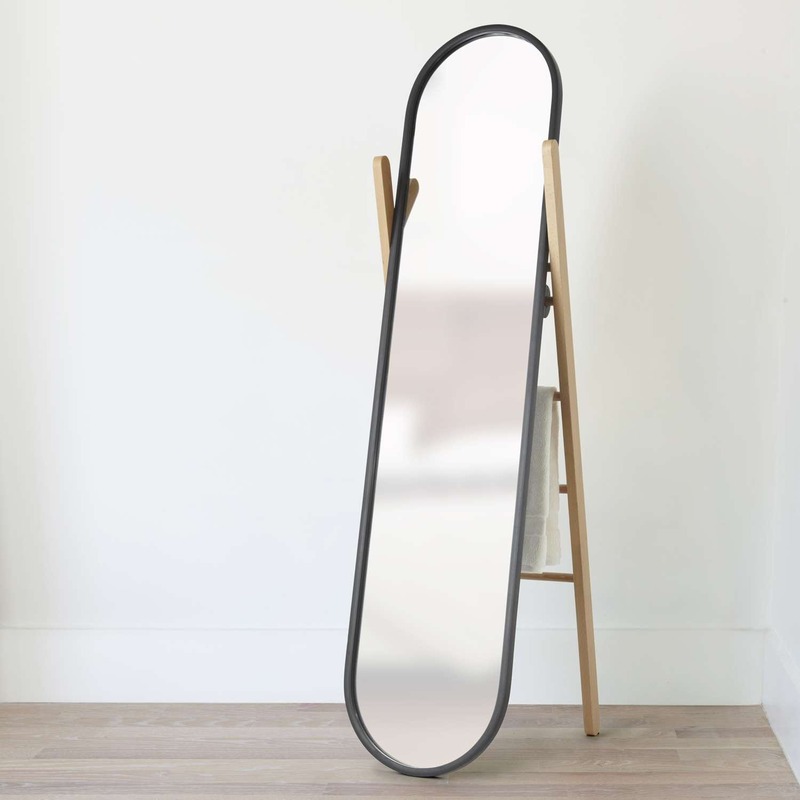 The full length oval mirror is supported by a ladder-style stand with rungs over which clothes, textiles and towels can be stored. 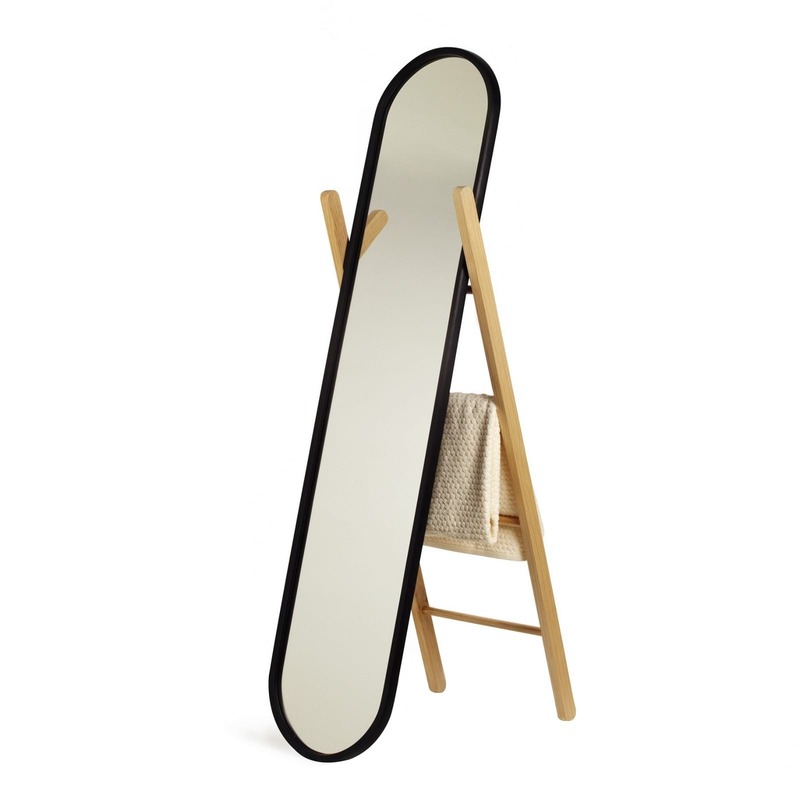 The rim of the mirror is made of rubber which prevent scratches on the floor as well as having a non-slip quality. 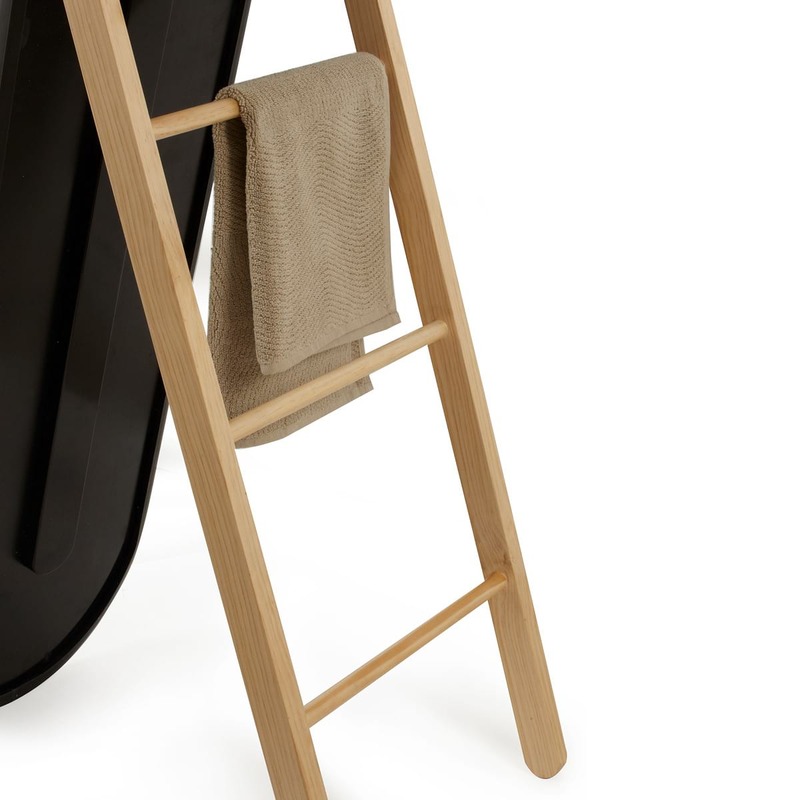 This modern and functional household accessory was designed by Paul Rowan. Materials: Wood, rubber, mirror surface, glass. Dimensions: Height: 158 cm, Depth: 43 cm, Length: 59 cm. Weight 11.37 kg (without packaging).